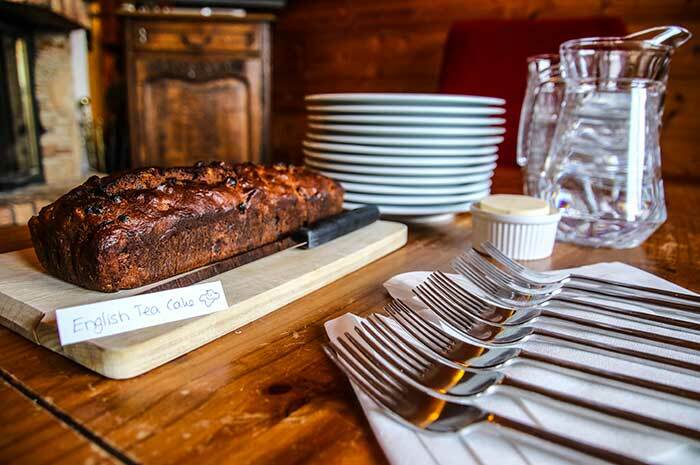 The original Pure Mountain catered chalet and recently refurbished, Chalet Forestiere is a top catered chalet with plenty of character and an unbeatable location. 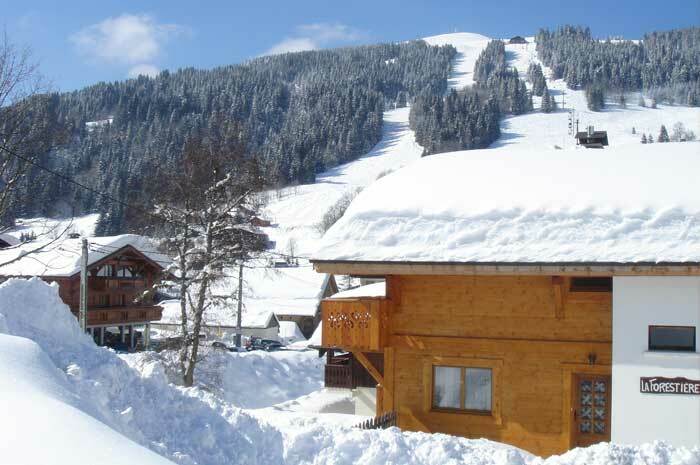 Chalet Forestiere offers great quality accommodation at an affordable price. 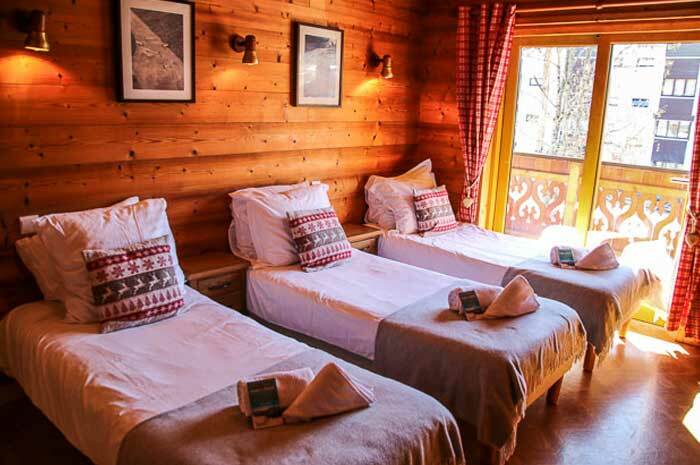 Boasting views of the piste from the sunny, south facing balconies and a warm, inviting living area as the chalet’s focal point, it’s easy to see why our guests return for ski holidays here year after year. 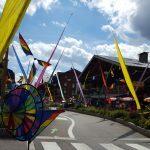 Located 150m from the nearest ski lift and piste, and a 2 minute stroll from the very centre of Les Gets, the location of this catered ski chalet is ideal. 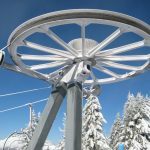 It’s also very close to Chalet Elise in Les Gets, so they make a perfect pair for larger groups looking to book two catered chalets. 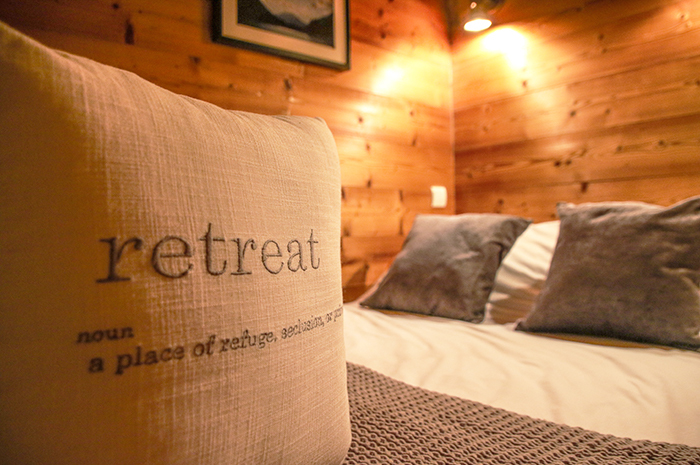 Sleeps 14 in 5 ensuite bedrooms. A wonderful experience from start to finish. 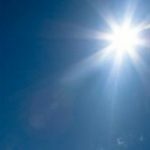 We were so impressed and would not hesitate to recommend you to others. We will certainly be back. Thank you! We had a great holiday. Lovely chalet, great hosts, very close to the slopes, good ski shop too. Many thanks again. The cooking and friendliness of the girls was outstanding! 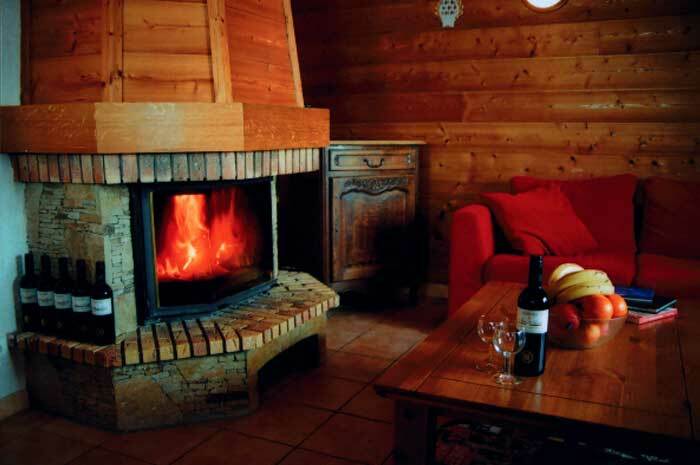 What a wonderful first experience of a cosy chalet skiing holiday! Perfect food from perfect hosts. Amazing location for skiing and wonderful weather! Hope to be back next year! Best catered chalet we’ve stayed in! The chalet was kept immaculate and the food was consistently exceptional, but what really made our stay special was their hospitality. 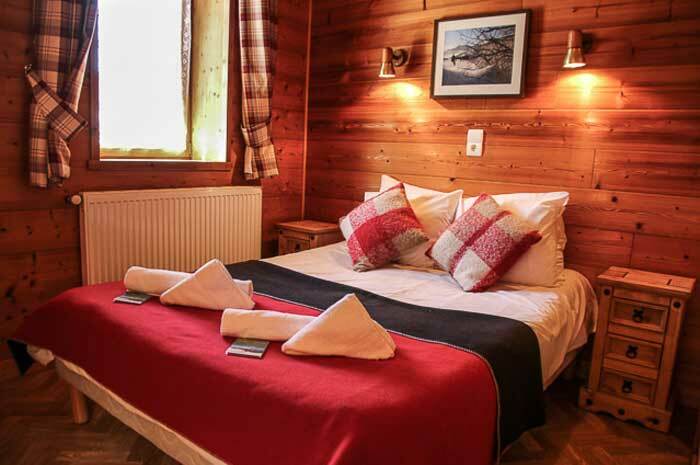 This comfortable and characterful space is the hub of the chalet, and with 2 balconies it’s the perfect place to unwind after a day on the piste. There’s ample comfortable seating in the intimate living/ dining area, so everyone can sit with their feet up and enjoy the chalet’s log fire. 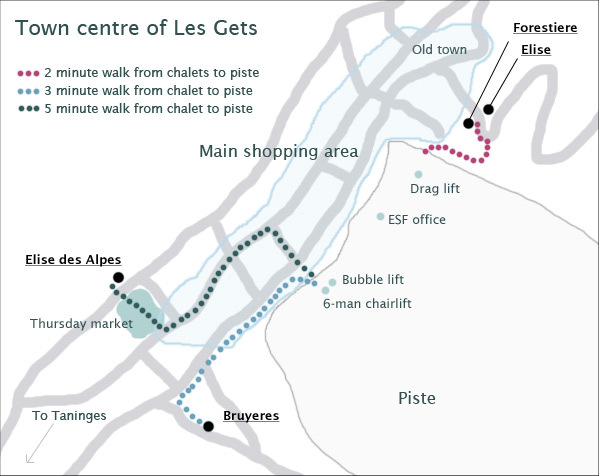 Please note that Chalet Forestiere forms part of a larger building, the other half of which is comprised of self-contained flats with an entirely separate entrance. We have wifi internet access, board games, a Nintendo Wii, DVD player and plenty of movies for you to enjoy. For once you’ll have the time to actually finish a game of monopoly! 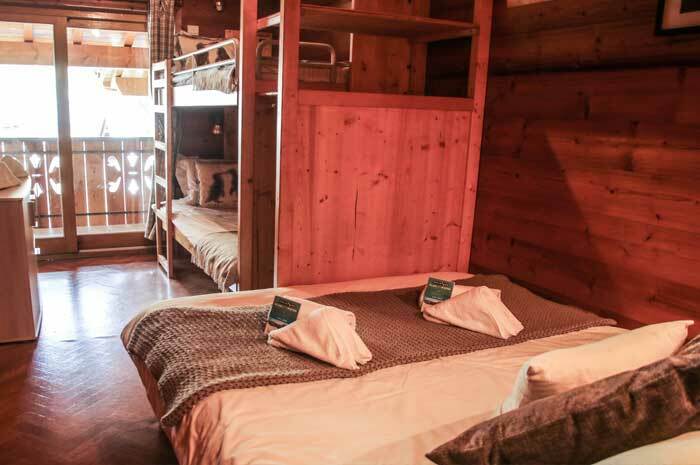 The ski chalet sleeps up to 14 people in five fully en suite rooms, four of which have balconies overlooking the piste. The rooms have an individual charm and plenty of storage space. All the bedrooms are ensuite with a shower, heated towel rail and hairdryer. Rooms 2 and 5 also have a bath. Room 1: Bright double room on ground floor. 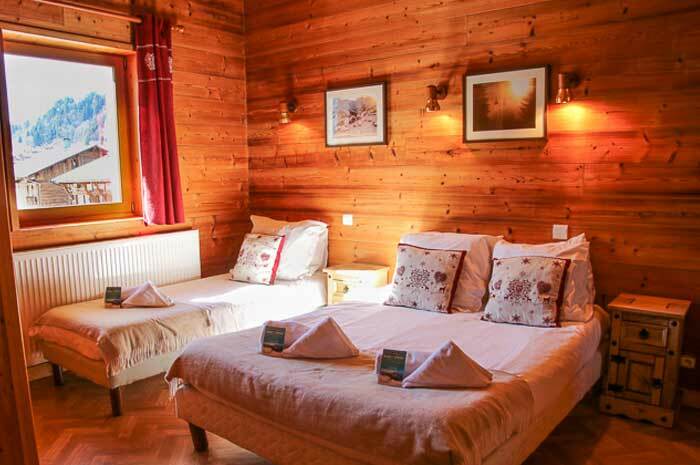 Room 2: Spacious triple bedroom with balcony over-looking the piste (3 single beds). Bath and shower. Room 3: Bright double room sharing the same balcony and views as Room 2. 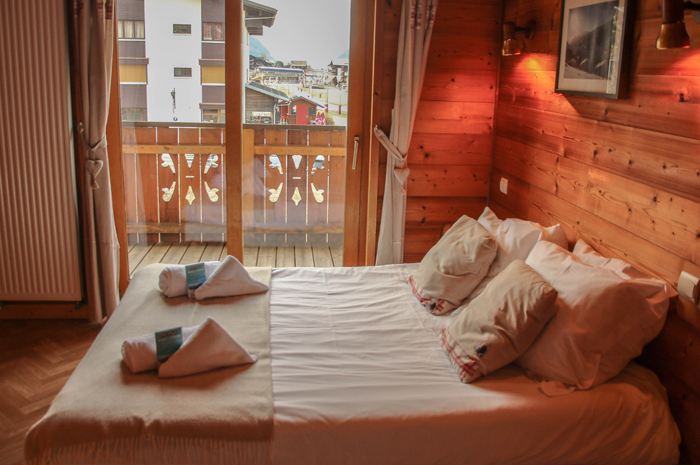 Room 4: Spacious triple room with a balcony over-looking Mont Chery (3 single beds). 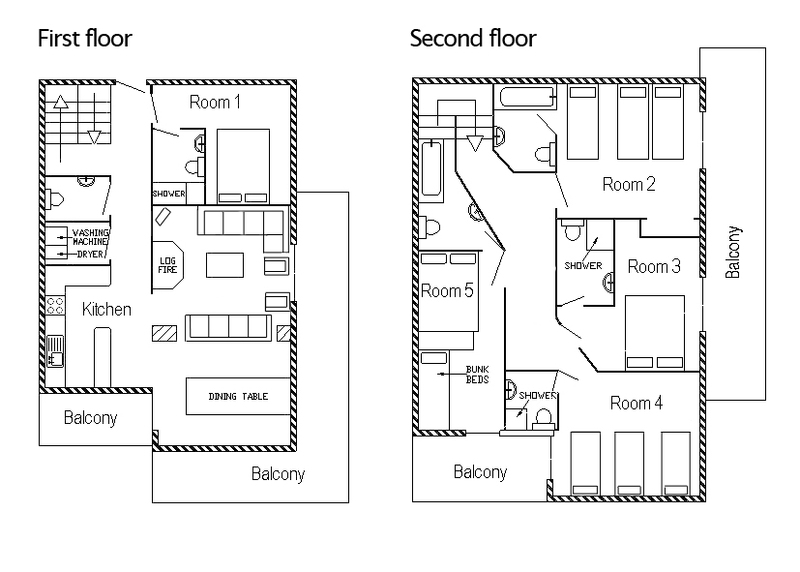 Room 5: Quad ‘Family’ bedroom sharing same balcony as Room 4 (bunk beds and a double bed). Bath and shower.